Although these tips are relevant to both face and body I really want to focus on the skin of the body which for a lot of you is a little neglected especially during the colder months. Winter is a time when we tend to commit a few skin sins such as turning the heat up for a blissfully steamy hot shower or bath which although may feel like a little piece of heaven at the time is unfortunately doing more harm than good for our skin. Top that off with forgoing the body moisturiser in an attempt to get dressed as quickly as possible and you have a recipe for disaster. Hot water strips our skin of its natural protective oils and when you are already experiencing the typical dry, itchy Winter skin habits like these like adding fuel to the fire. This is why so many of you find eczema type rashes may flare up during the colder months. Pro tip no.1 Turn the water down to a temperature that resembles closer to luke warm and keep your showering time to a minimum. Once finished towel off lightly, leaving some residual moisture on the skin before lovingly apply a generous dollop of a rich body moisturiser, oil or body butter to the skin of your body. I know at this point all you really want to do is get dressed as quickly as possible but I promise taking these extra few minutes to show yourself some care will make such a difference to how your skin looks and feels this winter. Pro tip no.2 Taking it one step further and once a week taking some time to address some of the previous years sun damage and helping to prevent barnacle like lesions from taking up residence on the arms and legs as we age by incorporating a AHA Body Peel for use at home to gently release redundant dead cells from your skins surface. Exfoliating our skin on our body regularly is an important step all year round. As we age, the speed at which we naturally shed our out most layer of skin slows down. Exfoliation may just be thought of as a step in your beauty routine, but doing so on a regular basis may help to reduce the risk of certain skin cancers through the reduction of the presence of solar keratosis- sun damage related skin lesions that can in some instances develop into squamous cell cancer. Though most consumers associate skin exfoliation with a beauty regimen, exfoliating your skin may help to reduce the risk of certain skin cancers. Pro tip no.3 Keep up your intake of hydrating foods, we get approximately 20% of our H2O intake from the food we ingest. This can be tricky in Winter when we lean towards the comfort foods, particularly meats and carbohydrates such as breads, rice and pasta which require our bodies to utilise our internal hydration levels in the digestion process contributing to dehydration. So what are hydrating foods? Think your fruits and veggies with a high water content such as cucumber, capsicum, tomatoes and other salad fruit and veg. Fruits such as cantelope, watermelon, lemons and oranges. In their raw natural state is best or for veggies just likely steamed as cooking methods can deplete these foods of their water content. Drinking fresh water throughout the day is still important, herbal teas can also be a wonderful way of helping to maintain hydration levels whilst getting a quick dose of skin friendly antioxidants. Adding fresh lemon or lime wedges to your water and starting your day off with a cup of luke warm water with half a lemon squeezed in are easy ways to increase and maintain internal hydration levels. Pro tip no.4 Keep up your healthy fats. Consuming healthy fats is integral to maintaining healthy, eczema free skin over winter. Essential fatty acids (EFA’s) in particular play an extremely important role in skin function. When we consume healthy fats it is like water proofing the skin from within. It allows for a strong and healthy cell membrane that is receptive to allowing transportation of nutrients into the skin cell to keep them healthy and functioning optimally. As the cells migrate upwards towards the surface the cell membrane which is composed of fatty acids breaks down, mixing with other substances and helps to form the glue like protective barrier that binds the cells together to create a waterproof barrier holding moisture in. A high intake of EFA’s also helps to regulate inflammation within the skin and body. I personally have seen a huge difference in the way my skin has tolerated the effects of winter on both my face and body since taking DMK EFA Ultra supplement on a daily basis. My skin has remained soft and hydrated, there has been no itch or the usual eczema that comes up on my shins this time of year. 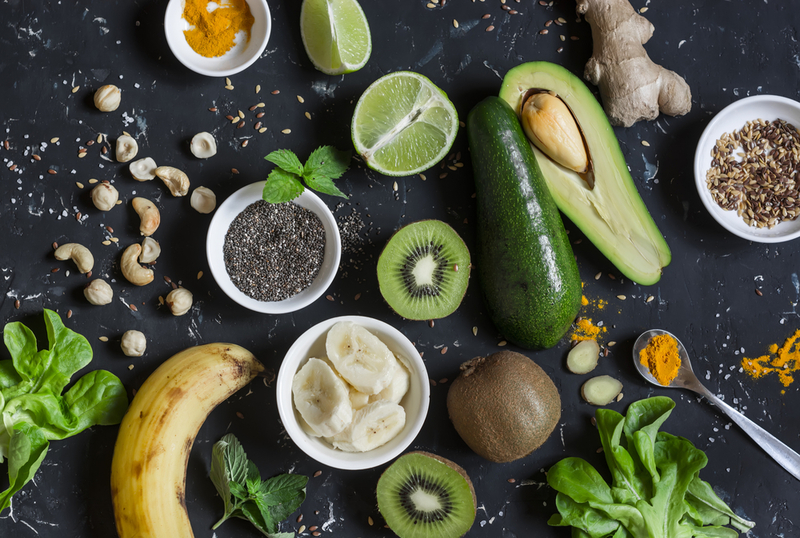 As well as taking a good quality EFA supplement, increase foods such as walnuts, avocado, chia seeds, oily fish, leafy green veggies, coconut oil, ghee, hemp seeds and olives. I hope that by implementing a few of these easy tips you can banish the winter scale for good and keep your skin soft and supple all Winter long. If you have any questions please leave a comment here and I will be sure to respond.